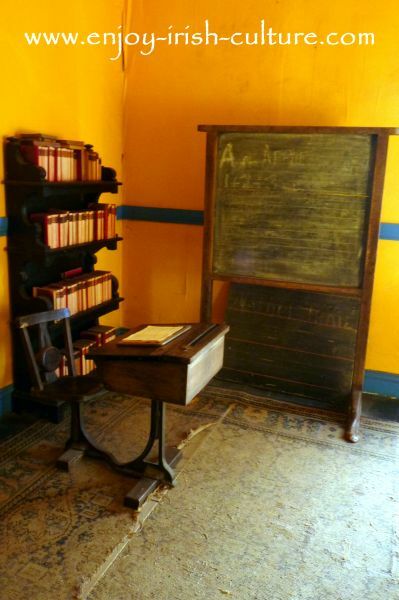 Strokestown Park House in County Roscommon is one of the best places to visit in Ireland, enjoyable and educational for the whole family. Read on to find out why. 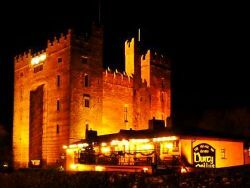 It is located on the N5 Dublin to Westport road, a two hour drive from Dublin, an hour and forty five minute drive from Galway, and an hour and a half from Westport. The impressive 'big house' is right in the centre of the town. The town itself is a planned town that features the second widest street in Ireland competing with Dublin’s O’Connell Street designed by Thomas Mahon of the Mahon family that owned the estate. Other than that it is a very quiet, pretty, very small country town. The place to visit in the town is the local ‘Big House’, the Palladian country mansion built by Thomas Mahon in the 1740ies. 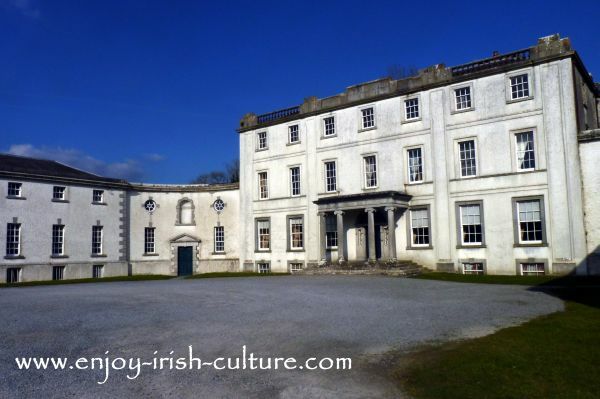 As most Irish big houses, Strokestown House is in a very pretty parkland setting. If your plan was just to visit for a walk you could entertain yourselves for an hour with that alone. You could park in the town and walk into the park. This way you would really appreciate the design of the demesne that frames the house. Behind the house, there is a lovely woodland walk to continue your tour. There is a charge to visit the house, famine museum and walled gardens (see below) but if you are in the mood a visit is well worth it. The tour of the house takes an hour, and the gardens could entertain you for another hour or so. A visit to the famine museum could take anywhere from half an hour to two hours depending on your level of interest. There is a cafe (photo above) that serves great food and desserts making an all day visit a realistic possibility. 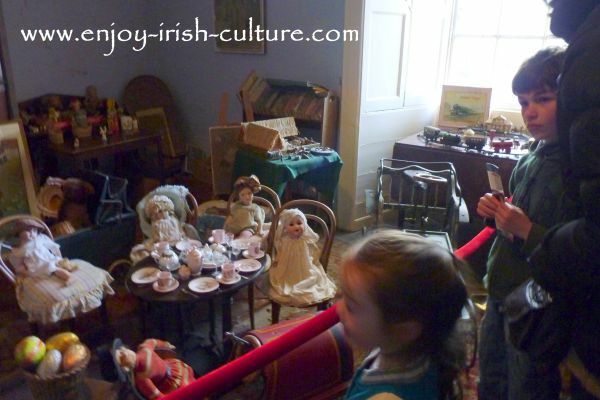 If you are bringing kids, the most interesting parts for them will most likely be the enchanting woodland walk and the visit to the house, especially to the school room (above) and nursery packed with Victorian toys seen below. The house visit is by tour only, which during the winter season (October until mid- March) is only once a day at 2.30 p.m. During the summer season there are three tours per day at 11 a.m., 2.30 p.m. and 4 p.m. Ticket prices vary depending on where you want to visit, house, walled garden or famine museum with a combined adult ticket at 13.50 Euros. Strokestown House was built by Castle in the style of a Palladian mansion and is one of the 600 surviving great houses of Ireland. As all big houses it was strictly divided into servant quarters and the family’s quarters. Of course the two parts contrasted hugely. Servant quarters were kept plain and were often cold. The main part of the house was very well decorated although the family did have to sell off much art work when they got into financial trouble starting mid 19th century. 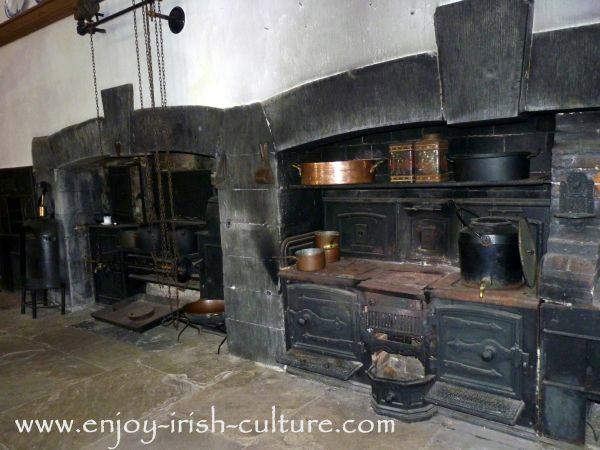 At Strokestown, the servants’ accommodation was in a separate wing alongside the kitchen which was central to the running of the house. The course of the day at the big house was determined by mealtimes. It took a large staff to look after the kitchen, to prepare meals and to serve the family. Servants were called using the servants' bells in every room of the house, on the photo below my son is making moves to use one! Our five year old about to ring the servants' bell. The 1749 census records Thomas Mahon, his wife and 7 children, plus 27 servants living at Strokestown Park House. That makes a ratio of three servants to every family member. The tour of the house is mostly a tour of the gentry family quarters and one gets a great feel for their lifestyle. All the old furniture is there, and odd little Victorian household bits and bobs such as a screen to protect the lady’s waxed faces from the heat of the fire, chamber pots in the dining room for gentlemen to relieve themselves without leaving the room during long after-dinner drinking sessions, a jar for leeches for medicinal use for conditions such as piles (hmmm, not sure about that), a Victorian bidet (seen below) and antique toys. The goal of the curators is not to show the house in its’ former glory of the 1800’s, but rather as the family left it behind. The house is kept exactly as the last resident and owner, Olive Pakenham Mahon, left it in 1981 when she moved to England where she died in her eighties. This communicates how, over time, the gentry became almost impoverished. 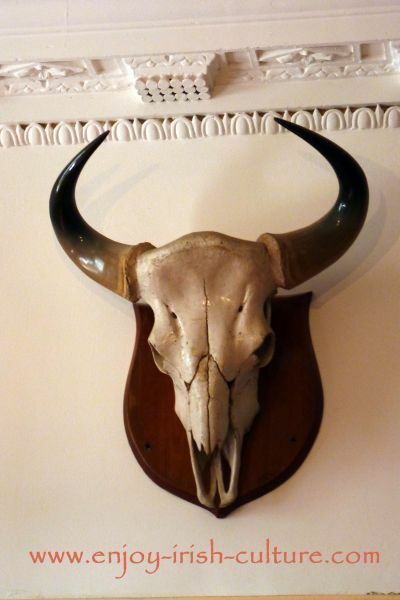 So, go and visit, because where else do you get to see all the original furnishings and belongings?! The highlight of the tour for me was the intact Victorian kitchen seen below which blew me away. There are three large ovens and a number of smaller ones, all for different purposes, such as a bird oven and bread ovens. Imagine all these ovens on the go just to cook food for one family unit! The kitchen had been hidden behind dry lining at some stage during Olive’s ‘reign’, and was discovered when the house was reconstructed after her death. A forward thinking architect, when asked to renovate the kitchen, had walled them off rather than disposed of them. Thank you! Turning your back on the ovens you will see a balustrade gallery up above. Kitchen staff were supervised from up there by the housekeeper, and the story goes that the lady of the house would drop her orders for food to be served down from this gallery into the kitchen. When taking over Strokestown Park House from Olive Pakenham-Mahon, the new owner Jim Callelly found family papers and letters at the property, many of which related to their role in the Irish Famine of 1845-52. This find inspired the famine museum which is housed in the former stables. There are audio-visual elements, documents and informative displays all educating about the cocktail of factors which led up to the great crisis of the famine. There is a direct and noteworthy family connection to Irish famine history. In 1847, Major Denis Mahon, owner of the estate since 1845, after taking some controversial decisions affecting his tenants, was the first of seven landlords who were murdered in revenge for their actions. This fabulous Irish heritage site is a must for anyone who cares for posh old residences and gardens. We recommend the tour of the house, not to be missed! Excellent food at the cafe is a plus if you are planning a full day visit. To finish your visit, take in the servants' tunnel before you go. This is the way servants had to take into the main house in order not to be visible in the grounds. 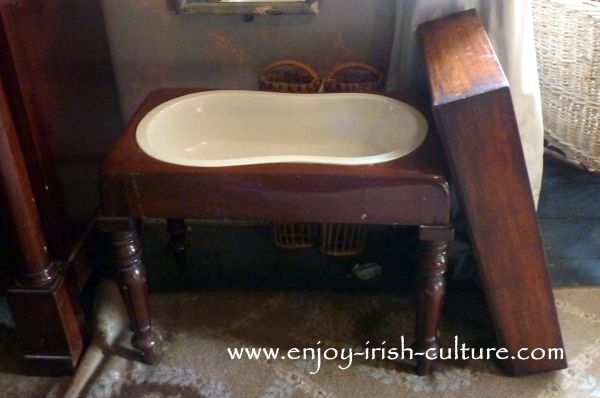 Seeing servants would have cramped the Victorians’ style! In the walled gardens, visit the largest herbaceous border in Ireland. If you are planning a half day visit, connect it with a peek at the Rathcroghan Royal Site near Tulsk, just fifteen minutes from here. 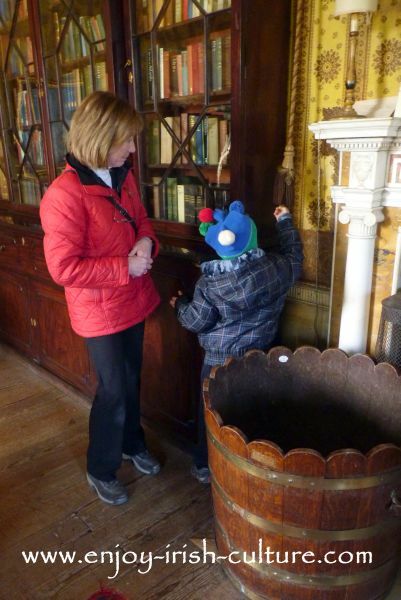 Hi there, hope you enjoyed this article on Strokestown Park House. 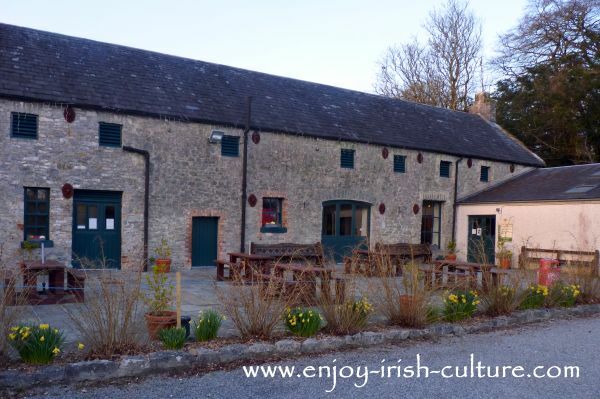 If you like what we do on Enjoy Irish Culture, please support us with a social shout out. You can use the handy social functions both at the top left and at the bottom. Thanks a million and kind regards from Susanna and Colm.